One rainy day last summer, a Brooklyn mother of four, pregnant with her fifth child, heard the sound of water gushing into her basement. She scrambled down the stairs and nearly cried. The supplies she’d carefully prepared for the new baby were covered in raw sewage. “It was feces. It was the week before I had a baby and I had everything cleaned out, washed—undershirts, pajamas, car seats, carriages, strollers, everything,” said the mother, who did not want to give her name for fear it would delay payment on a damage claim she filed with the city. “I started taking video to show to my husband so he could tell me how I should stop it, and then I was like ‘Oh, my God, kids, run up stairs’ – because it was up to my ankles already,” the Midwood resident said. A few miles away Queens resident, Jennifer Medina, 48, said backups are also a problem in her neighborhood. She said at least once a year, sewage floods her basement and a heavy, nauseating stench fills the entire house. 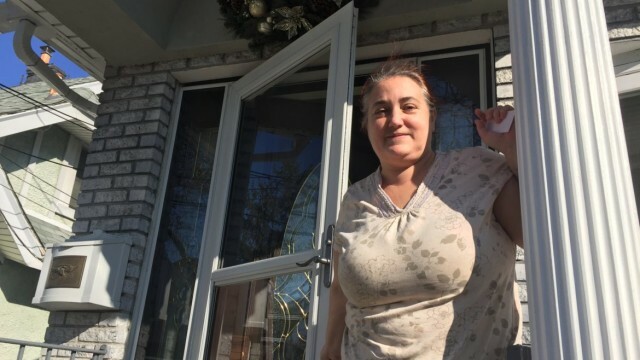 “It’s always been a problem, more lately than ever,” said Medina, who said backups have been a problem since her husband’s family bought the house in the South Ozone Park neighborhood more than 38 years ago. Most New Yorkers dread having to go out on rainy days, but for some city residents, staying home isn’t much better. In some neighborhoods, during heavy rain, raw sewage gurgles up through basement toilets, showers and drains, leaving cellars awash in raw sewage and the smell of untreated human waste permeating homes. And for many of those residents, the problem is nothing new. Medina said she’s made numerous calls to 311–the city’s hotline for non-life-threatening assistance–asking for help with the disgusting and costly mess. “It’s like they just don’t give a damn. They act like it’s not their problem,” said Medina referring to the city’s response. While raw sewage discharges into the rivers and waterways surrounding New York City have garnered wide attention, residential sewage backups–which have plagued some city neighborhoods for decades–have received far less attention. The problem is most prevalent in Brooklyn, Queens and parts of Staten Island, but occur in neighborhoods across all five boroughs. In recent years, the city has attempted to tackle the problem, with mixed results. Now the Environmental Protection Agency (EPA) is stepping in. Last August, the agency issued an administrative compliance order, forcing New York City to reckon with longstanding problems. “The city has a documented history of basement backups, sewage going into residences and business basements,” says Douglas McKenna, chief of the EPA’s Water Compliance Branch, referring to data provided to the EPA by the city. Read more on City Limits.